This update was well overdue, as the AWD version of Model 3 will likely prove a very popular option and many among the half million reservation holders have been waiting for it before deciding to confirm their order. The Performance variant, despite representing a niche for Model 3 and a big jump in price to Model S territory, is sure to magnetise attention from car enthusiasts and specialised press alike, and should help drive continuing demand for the standard versions well into the future. Musk promises it will be 15% quicker than a BMW M3 and boast better handling. Not that the base AWD model will leave much to desire in terms of performance, for over $20,000 less. It wouldn’t be surprising, once some statistics become available, if long range AWD Model 3 becomes the most popular version of Tesla’s latest offering. 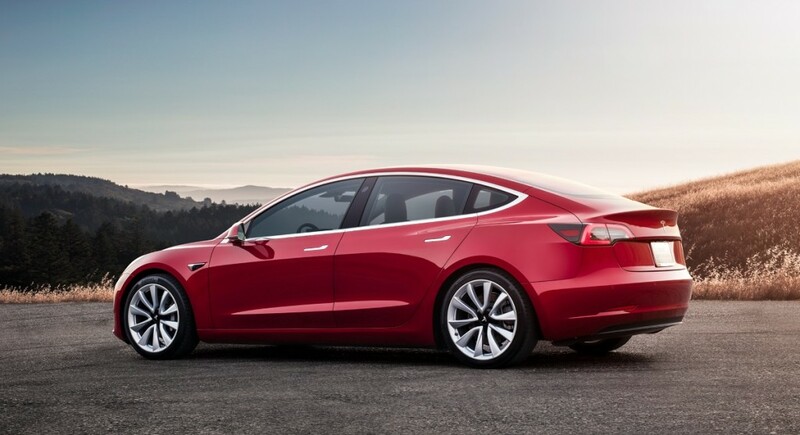 With a price tag over $50,000 plus taxes in the US (and arguably a higher figure in Euros in the Old Continent), the new addition will contribute to improve profitability of early Model 3 sales as the production ramp keeps accelerating from the trickle of late 2017 to the over 3,000 per week of recent May news. A reversal of long term quarterly losses is now seen as crucial for Tesla’s progress, not just by mainstream media and usual detractors, but also by Musk himself, who has also confirmed in further tweets that Model 3′s short range $35,000 base version will be made available 3 to 6 months after the 5,000 units weekly target is achieved. Another important update giving some rest to rumours doubting future availability of the least expensive Tesla. 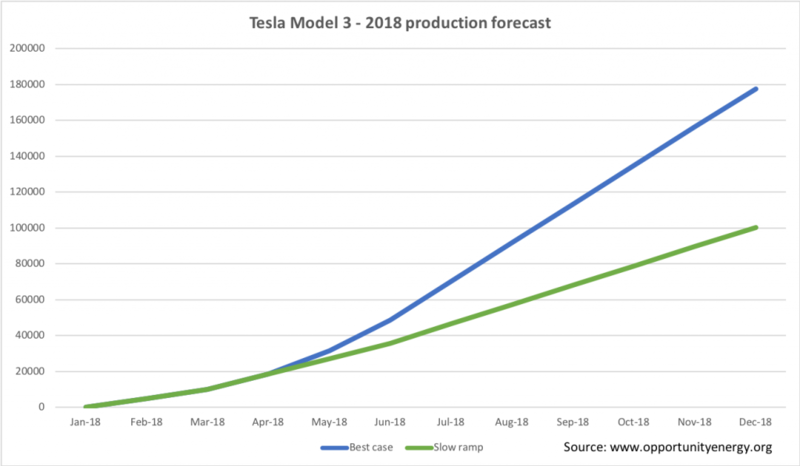 Focus will now be on further improving Model 3 production rate from the alleged 3,000 per week to the long promised 5,000 over the next month or two. The Twitter unveil of AWD details is reassuring, as it means Tesla is finally progressing well along the ramp curve and is bound to make dual motor version available for delivery in the near future. With orders for these options soon to pile in, this Summer will likely see Tesla meet its production targets between July and August, all the while reducing losses if not reaching profitability by that time. Musk’s company will then be able to focus on the long awaited $35,000 version that many, right or wrong, see as the real achievement. 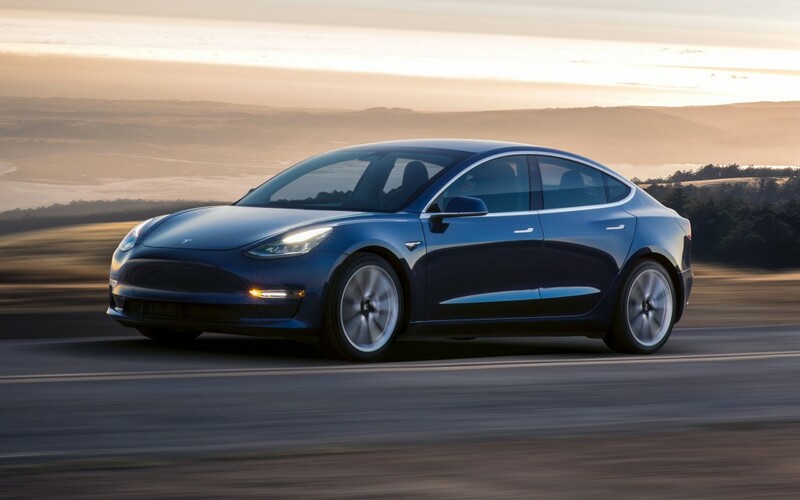 While it’s yet not sure whether it will prove to be the most popular Model 3 option, the cheapest Tesla should arrive by year end and will find its way into the more competitive market of sub $40k electric cars from the likes of Nissan, GM, Kia and Hyundai, with further competition coming next year (particularly from VW). Tesla’s disruption to this popular EV segment will be important to observe and could not possibly underestimated, even more so than any previous Tesla event to date.